With Nutri Pet, easily optimize the amount of food you should give your pets, dogs and cats. Precisely monitor their weight evolution and get specific feeding tips depending on their health status. The diet of pet dogs and cats determines their growth, their organism general condition and their longevity. A balanced diet thus decreases the risks of obesity and nutrients deficiency. Based on scientific data and developed in close collaboration with a veterinary nutritionist, Nutri Pet aims to assist pet owners with nutritional aspects by assessing in an optimum and rational way the dietary needs of their dogs and cats, both in terms of quality and quantity. 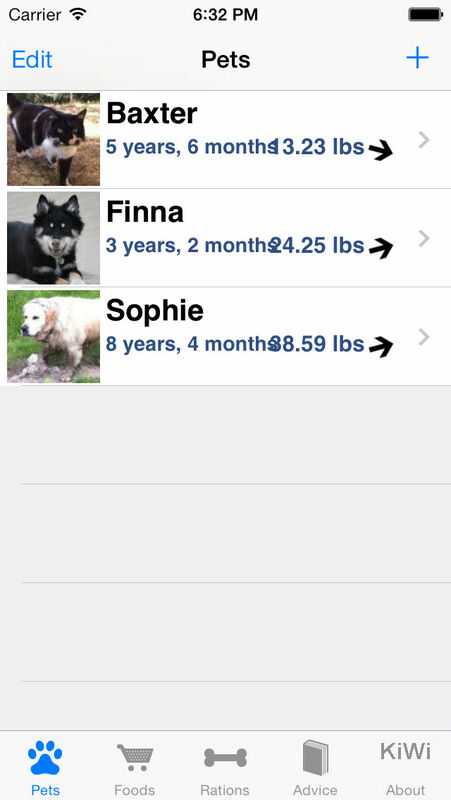 For each of your pets, input their precise features: species, breed, general behavior, birth date, recommended adult weight and current weight. You also have the opportunity to indicate if your female pet currently experiences pregnancy or lactation. 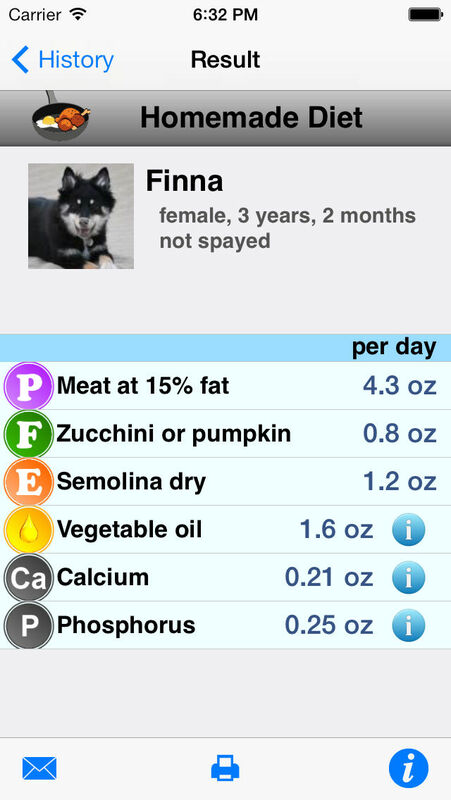 The application then determines your pets’ precise daily needs. Industrial diet (dry or canned food): fill in the food composition specified on the packaging (% proteins, % fats, etc.) and optionally the price and packaging weight. 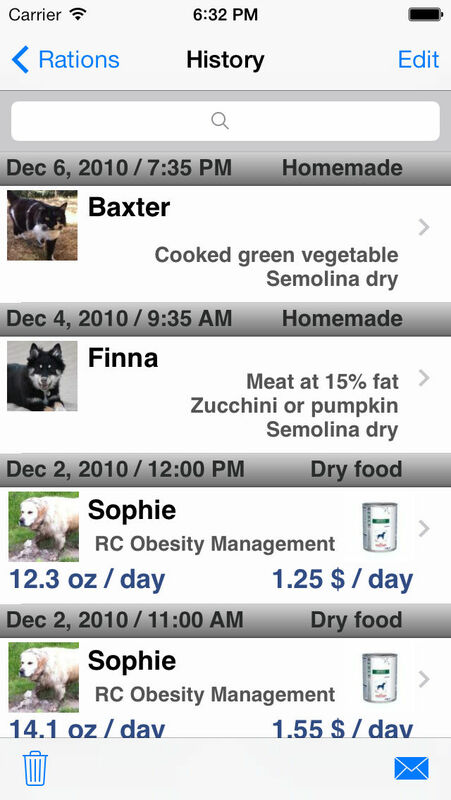 Homemade diet: the application allows you to make up your pets’ meals by selecting appropriate amounts of proteins (meat, fish, etc. ), fibers (vegetables, etc.) and source of carbohydrate (pastas, rice, etc.). tips according to your pet’s health status and current condition (puppy/kitten, pregnant female, etc.). rss Results of this analysis are generated as a color PDF file that you can either send by e-mail or directly print thanks to AirPrint (iOS 4.2 and above). 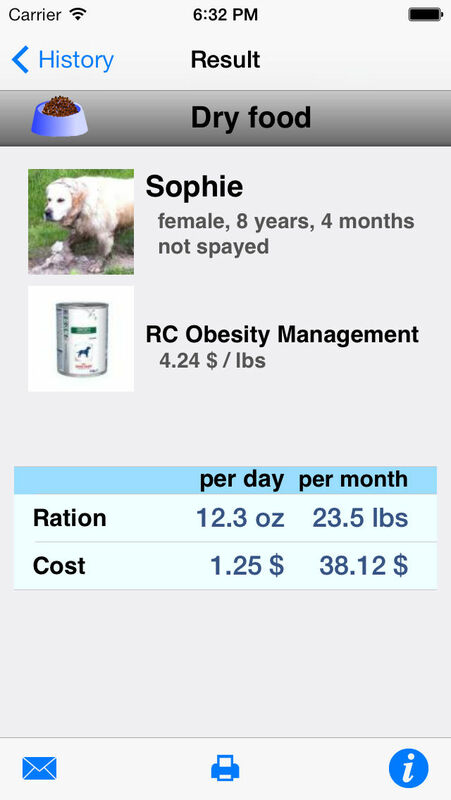 Ration calculation history allows you to easily compare different food types for a given pet in order to determine the best dietary balance, both in terms of quality and good value for money. In addition, the whole history can be exported by e-mail as a CSV file. 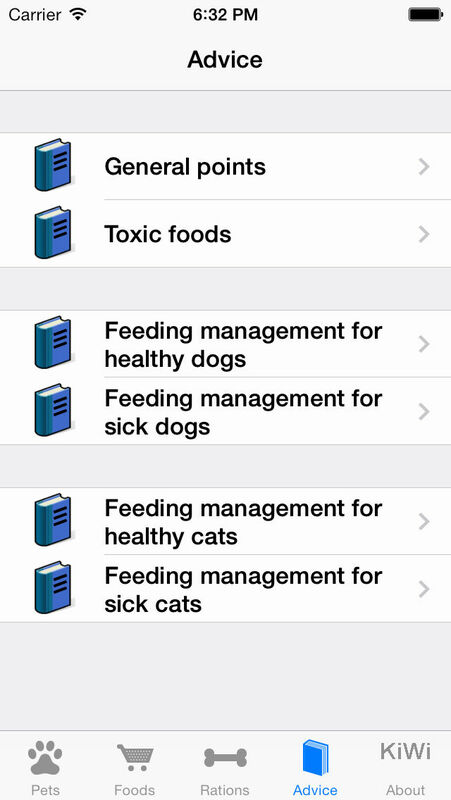 Nutri Pet features a library of veterinary tips and facts regarding general points on dog and cat nutrition, a list of toxic food for your pets, and more specialized sections on healthy or sick dogs and cats feeding. Important notice: using this application doesn’t replace veterinary advice.